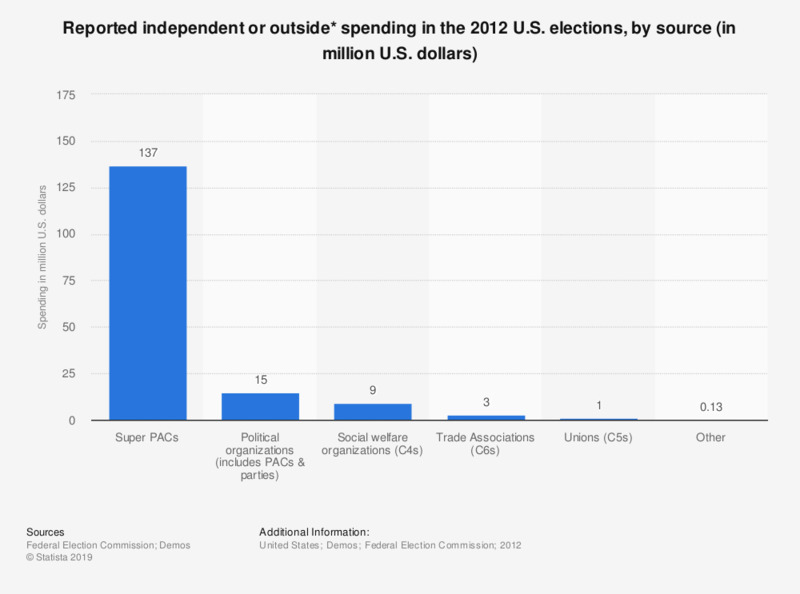 This statistic shows the independent or outside spending in the 2012 U.S. elections, as reported to the Federal Election Commission, by source. About 82 percent, i.e. roughly 137 million U.S. dollars, were spent by Super PACs to influence federal elections. * Data refers to all of the money spent independently by candidates to influence federal elections and reported to the FEC.